I wish I could count how many times I have heard, “I am already married, but I want one! ” I recently had an opportunity to design a brooch bouquet for a 25th anniversary. 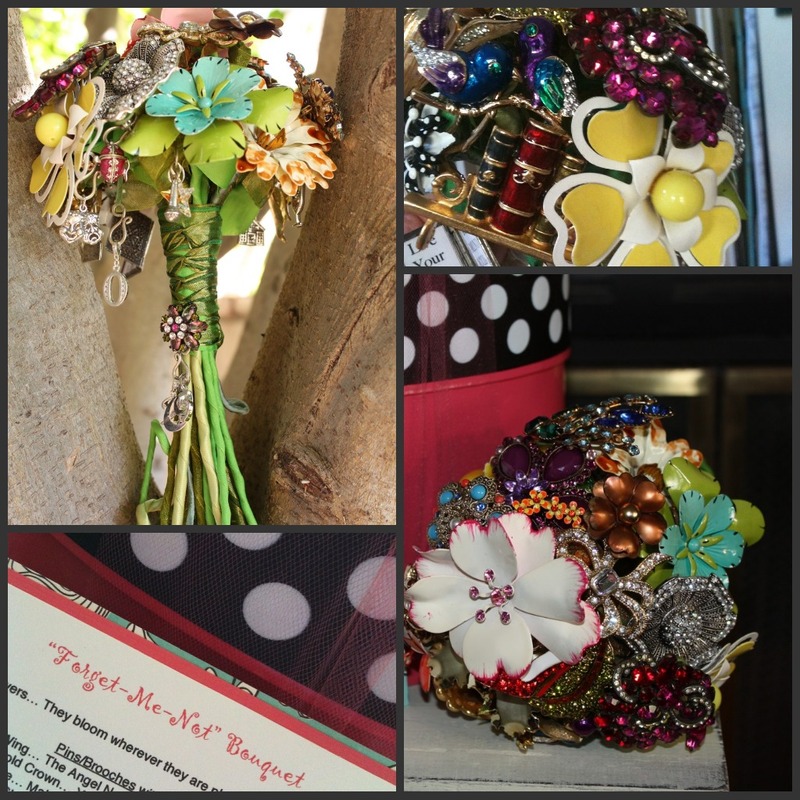 I had so much fun and loved how it turned out, that I have added the “Forget-me-not brooch bouquet” to my collection. The bouquet itself is a collection of brooches, each representing a wildflower, attached to each is a charm that has meaning for the receipient, then each stem is wrapped in silk ribbon. The bouquet looks as if you picked it right out of the garden. Love it! The possibilities are endless. Spread the news… Not just for brides anymore. I would love to design one for your special occasion. Contact me for pricing and ordering details.